However, if and when you spend enough time in that future reality by visualizing it, your unconscious mind and your body change as if the experience had already occured, in preparation for the event. And guess what. The event is your new life. 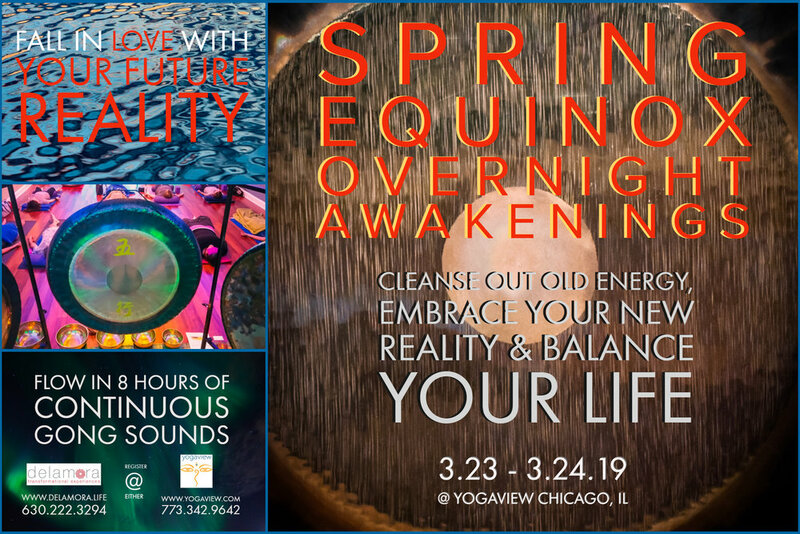 Correlating with the Spring Equinox, which literally represents new light and life, new beginnings, seeds and paths, we invite you to participate in our 14th Overnight Awakenings Experience. The significance of Spring is that days get longer and the earth receives and replenishes through endless renewing cycles and nutrients. In ancient times people used spring rituals to cleanse out old energy in their homes, temples, bodies etc. 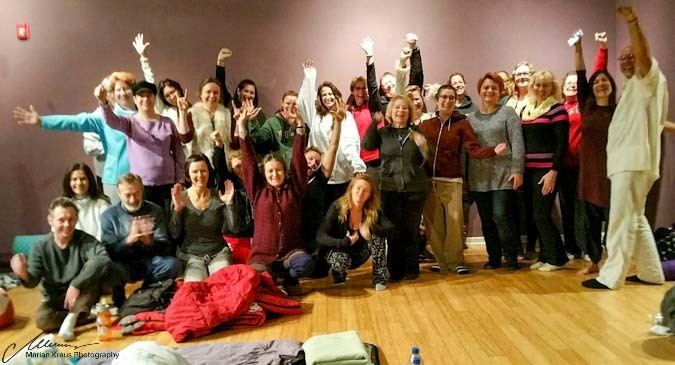 During the 1st part of our transformational Overnight Awakenings event (held at the wonderful Yogaview studios in Chicago, IL), we will cleanse ourselves and let go of the old self, to then visualize the new “You”, new seeds to your new life. We will then focus on and learn how to balance our lives. Just as the length of day and night are equal on the equinox, this time represents our own need for equilibrium as the ideal state for our lives. The proper balance of the yin/yang and male/female energies. The infusion of new energy in this workshop will help you focus and move forward in new, fresh and positive ways. 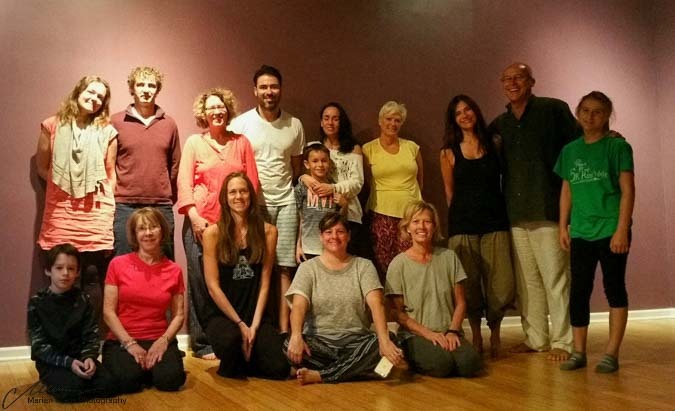 The 2nd part featuring the sound element of the Delamora Overnight Awakenings Experience, will begin around 10:00 pm with a guided meditation which will be prefixed with a brief yet comprehensive history of the gongs and introduction to aspects of neurobiological elements as they relate to sound therapy. 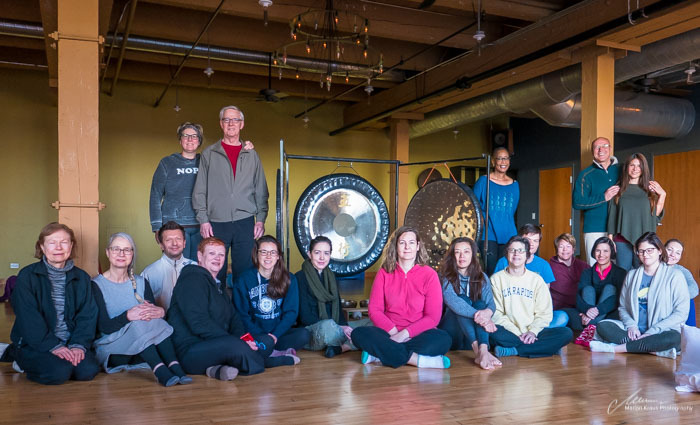 The play of live gong sounds will be provided by Marian and Gabriela for 8 continuous hours to end at 6:00 on Sunday morning, followed by a brief forum to conclude at around 6:30 am. Fruits, nuts, cheese and cookies, as well as water and tea will be served throughout the event. 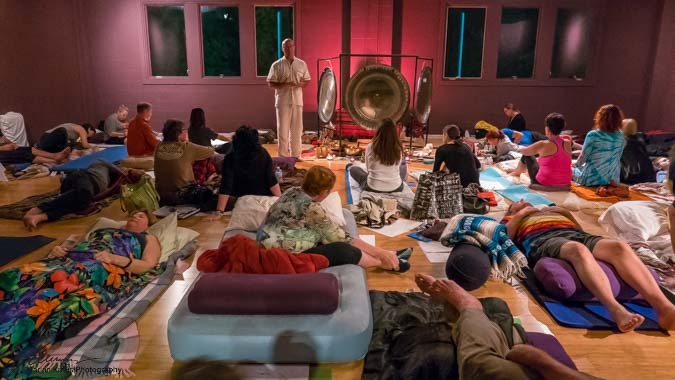 The only pre-requisite for participation in this unique event is to be open-minded, give yourself permission to relax, to “drift in and out” throughout the night (it is not required to stay awake all night), and to allow sound, vibration and harmonics to serve as a psycho-acoustic gateway to a meditative and transformative inner dimension and heightened states of consciousness.